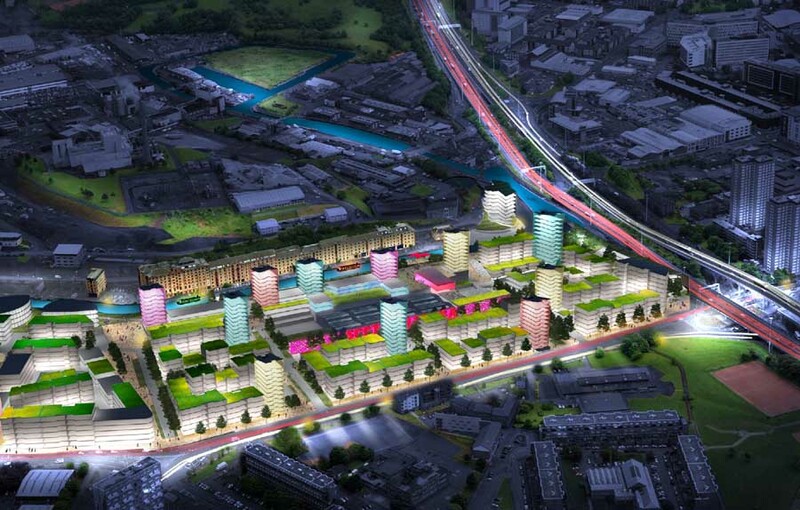 The first phase of a new £40m student campus on the banks of the Forth and Clyde Canal is set to go ahead after being given the green light by Glasgow City Council. The plans for the campus were developed by architects Stallan-Brand. 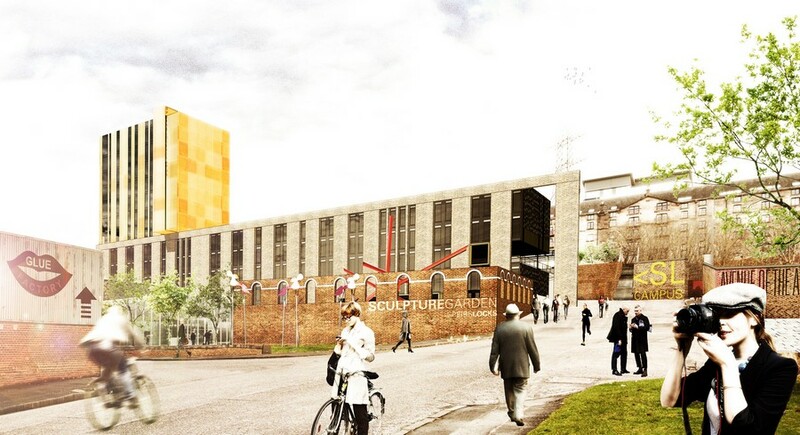 Developers expect to start work on the 100,000 sqft Speirs Locks Student Campus in January 2014. It will initially provide 235 private rooms for students. 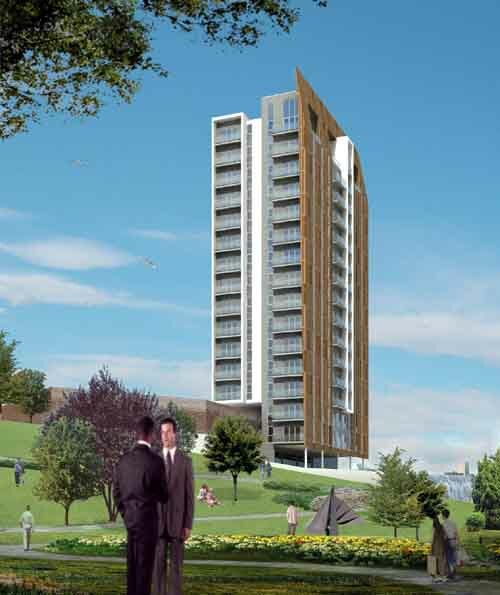 The first residents are expected on site by September 2015. Developers Speirs Wharf Developments hope that a second phase, involving the construction of 336 rooms, will be completed and occupied in September 2016. Taking full advantage of its elevated position the schemes first phase will take the form of a four storey brick plinth addressing the west and north, atop of which sits an 8-storey Corten steel clad tower addressing the wider urban townscape. 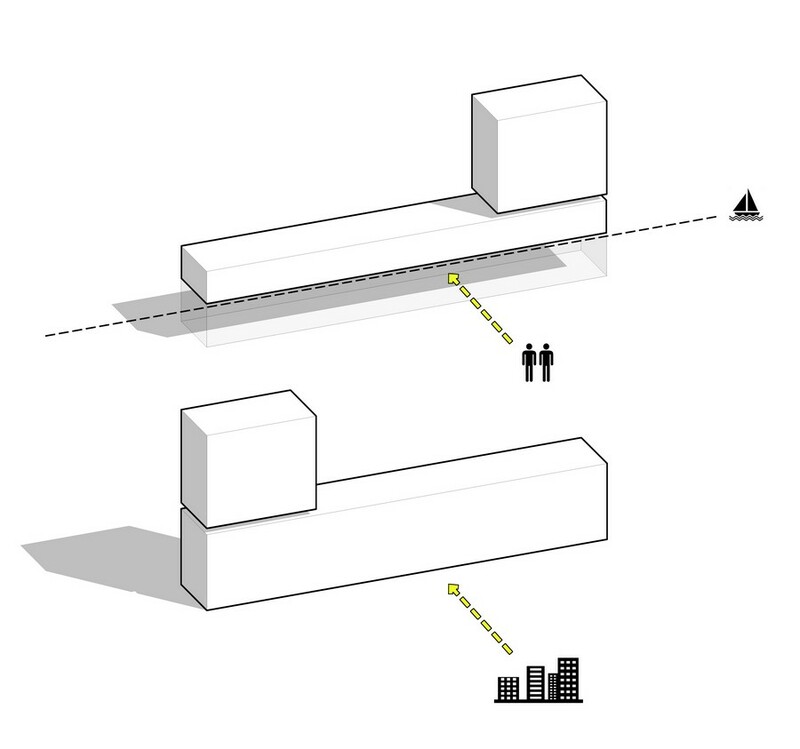 The scheme seeks also to exploit the unique existing site conditions, retaining where necessary fragments of its historic past to create a proposal specific to its surrounding, anchored to the place. Set against the backdrop of the Grade B listed canal towpath wall, the buildings arrival space is defined by the remnants of the existing city council cleansing department, a rich masonry skin which announces the buildings main entrance whilst also providing an external spill out space and sculpture garden for the adjacent studio spaces. 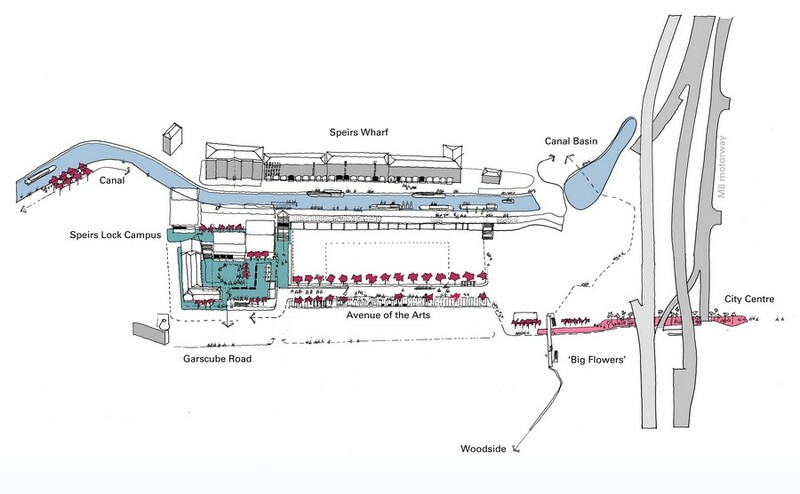 Key to the proposals is a desire to improve weak connectivity by extending 7N’s Phoenix Flowers public realm work via a new ‘Avenue of the arts’ to connect to a campus square opposite the glue factory arts venue. Practice co-founder Paul Stallan said: “Since the previous plan was prepared at the height of the market the location has become increasingly attractive for both local and national arts companies. 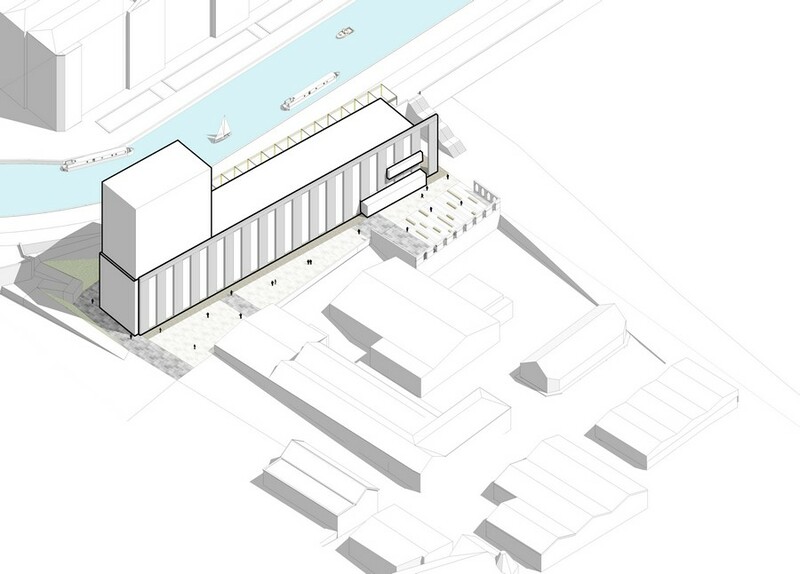 “The original plans envisaged commercial proposals but these have in fact given way to more opportunistic education and artistic uses to become a location that is clearly becoming a creative quarter. accommodation for both under and post graduate students. 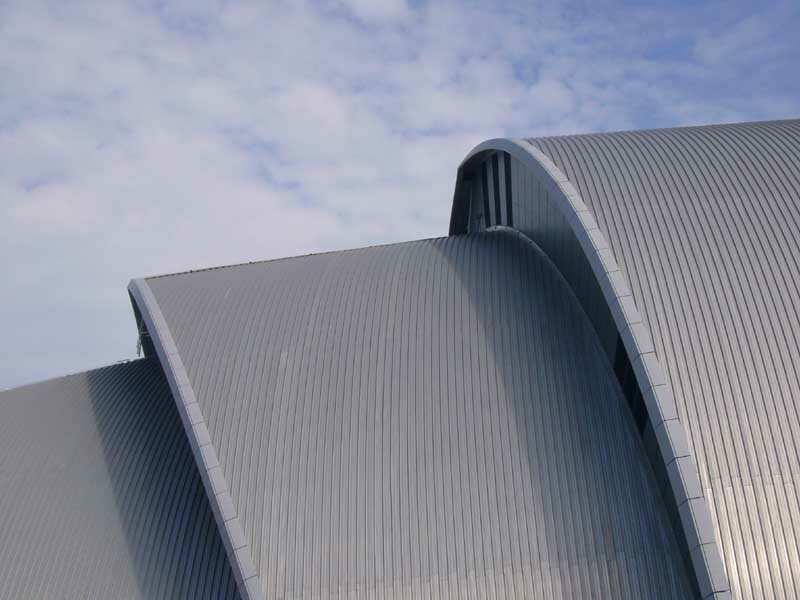 17th December 2007- Make Architects has been appointed as masterplanners for an innovative and high profile project on the banks of the Forth & Clyde Canal in Glasgow’s city centre. 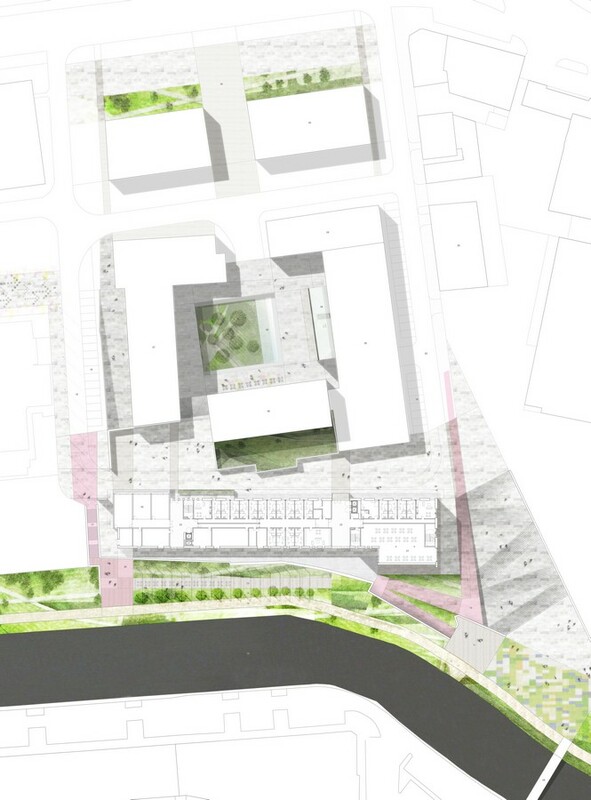 The appointment has been made by The Glasgow Canal Regeneration Partnership and follows a comprehensive design competition which involved project stakeholders and the local community in the selection process. 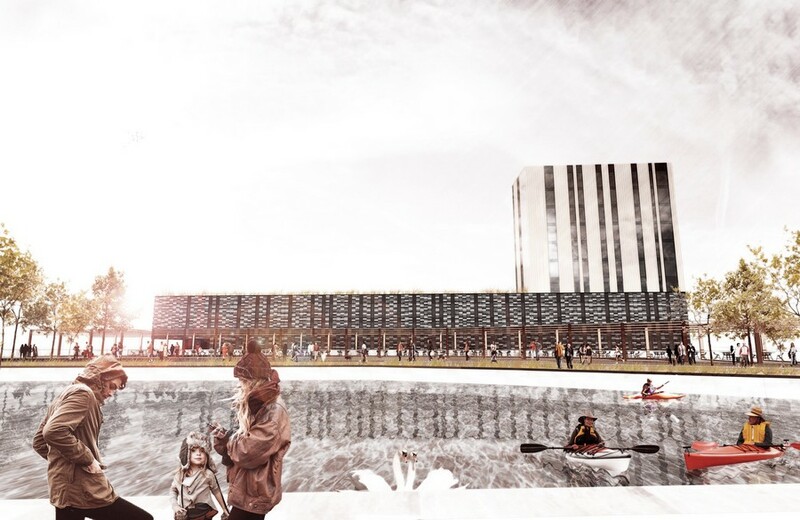 From an initial expression of interest, four teams were shortlisted to develop a conceptual design response to the site. The teams included Make, Urban Initiatives, 3D Reid and Mossessian & Partners. The winning team is made up by Make, landscape designers Rankin Fraser, artists KOAN3 and community engagement consultants Kevin Murray Associates. 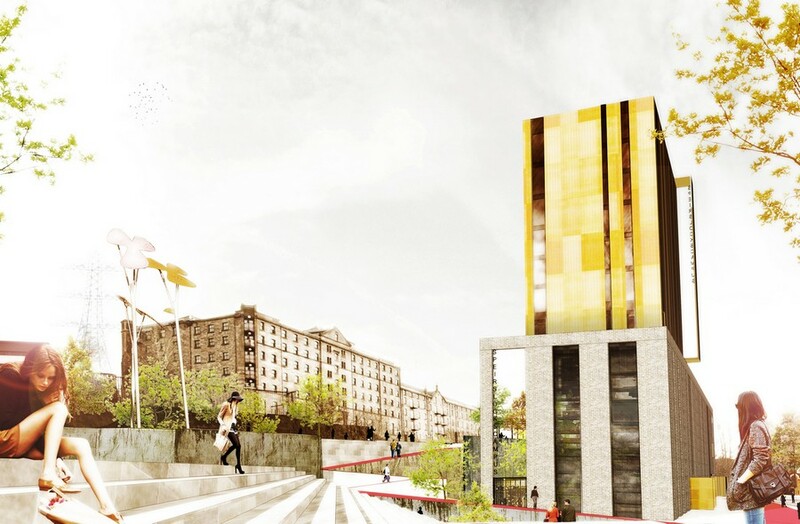 The proposals for Speirs Locks form one element of The Glasgow Canal Regeneration Project’s (GCRP) 20 year vision to revitalise 1,000 acres of the Glasgow branch of the Forth & Clyde canal from Port Dundas to Maryhill. The project, which was formed in 2004 and is a partnership between Glasgow City Council, UK waterside regeneration specialists ISIS and British Waterways, will seek to create a fantastic waterside environment that will bring benefits to those living and working in Glasgow, whilst providing an awe inspiring setting for visitors to the city.